Being a client-centric organization, we are engaged in offering a wide array of Heavy Duty Platform Scales. These scales are highly demanded for the purpose of scaling different types of material. Our skilled professionals manufacture these scales, from high quality raw material, using the latest technologies. In ahead of their final dispatch, our offered scales are thoroughly checked by our quality analyzers against varied quality parameters. 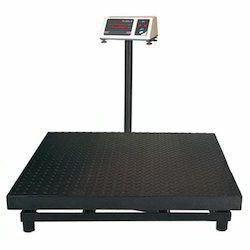 Backed by a team of adroit professionals, we are manufacturing, exporting and supplying an extensive array of Heavy Duty Platform Weighing Scales. Designed with utmost precision, these scales are manufactured from quality proven raw material that ensure their quality and performance. Moreover, our clients can avail these scales in several specifications in accordance with client’s requirements. Owing to their quality features, these industrial scales are highly appreciated around the globe. 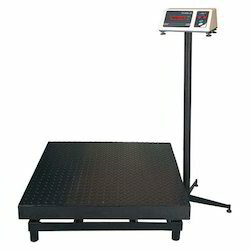 With sincerity and hard work of our professionals, we have carved a niche for ourselves in this domain by offering Platform Weighing Scales. The offered scales are manufactured using optimum quality raw material and advanced technology. Additionally, our offered scales pass through various quality check procedure under the supervision of quality controllers, in order to ensure their flawlessness. Besides, these scales can be customized as per the specific requirement of the client.